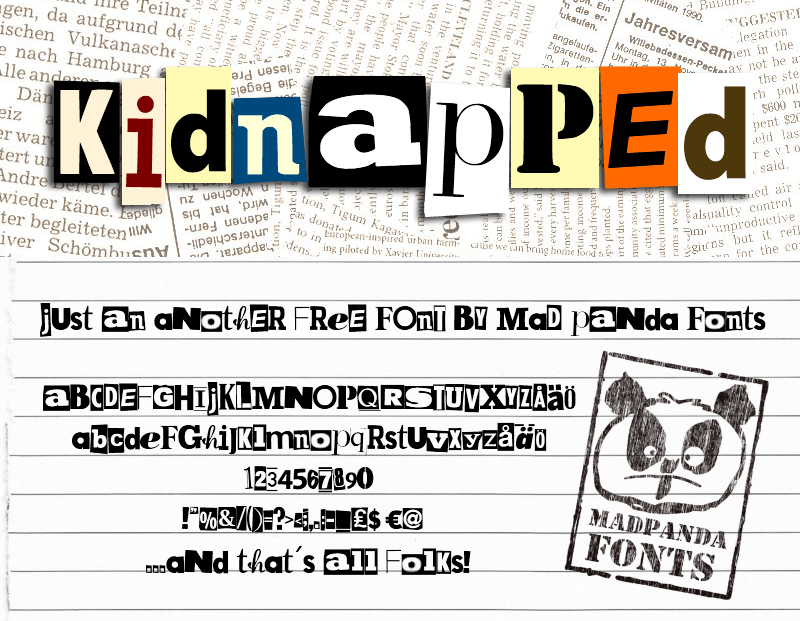 MPF Kidnapped is free font for personal use (although a small donation is greatly appreciated). For commercial use, you can donate €10/$15 through PayPal (donation button). Thank you very much in advance.